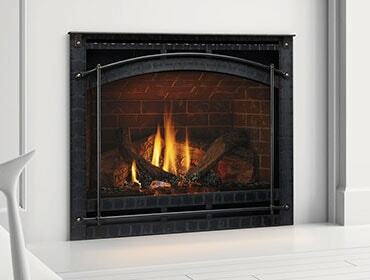 When you set out to purchase a wood fireplace, it’s important to understand the basics. In Part 1 of this two-part series (blog posted March 15th), we learned that there are two types of wood-burning fireplaces with distinct differences: manufactured EPA-certified wood fireplaces (highly efficient), and masonry-built wood fireplaces (highly inefficient). Well worth the investment, it’s best to choose a wood fireplace from an established brand like Heatilator. The flagship Heatilator EPA-certified wood fireplace is the Constitution, which is among the cleanest burning, most efficient wood burning fireplaces available today.